The Federal Government will spend N540bn more on debt servicing than it will spend on 10 key sectors of the economy, an analysis of the 2017 budget, which is about to be presented to Acting President Yemi Osinbajo, has shown. The 2017 Appropriation Bill, which was passed into law by the National Assembly last week, provided N1.84tn for debt servicing and N1.3tn for 10 key sectors of the economy, including agriculture, power, works and housing, education, health, transport, mines and steel, defence, police, and trade and investment. The budget for debt servicing is also just N330bn shy of the N2.17tn provided for capital expenditures in all the sectors of the economy. Compared with revenue expectation, the budget for debt servicing is 36.22 per cent of the N5.08tn revenue, which the Federal Government hopes to realise from oil and non-oil sources this year. 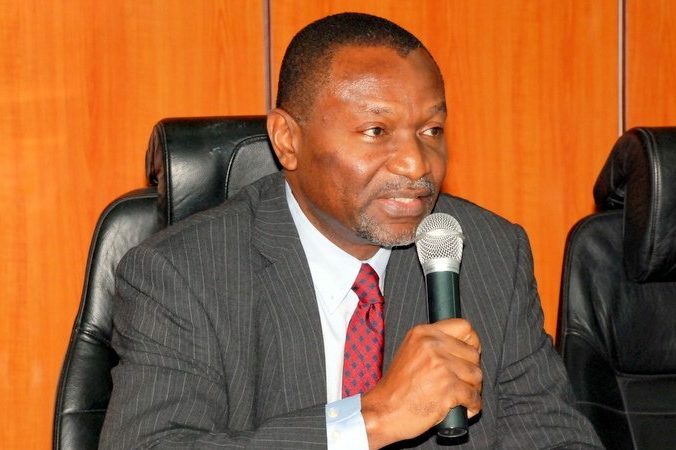 To raise the revenue base to N7.44tn projected in the budget, the Federal Government plans to borrow a total of N2.35tn from domestic and foreign sources. The debt serving provision is made up of N1.66tn for interest rate payment and N177.46bn sinking fund for payment of maturing bonds. The capacity of the Federal Government to make interest payment has raised concern among experts as some claim that with shrinking revenues, the debts are becoming unsustainable. The Head, Abuja office, Social Action, a Non-Governmental Organisation active in debt relief advocacy, Mrs. Vivian Bellonwu-Okafor, said Nigeria was actually sliding into unsustainable debt. She said, “As it stands presently, debt servicing alone is gulping over 22 per cent of the entire budget at N1.66tn, with capital expenditure just a niche higher at N2.17tn. To underscore this peril, allocation to debt servicing in the 2017 budget is even higher than the total allocation to 10 key ministries put together. “This clearly shows the level of crisis Nigeria is stealthily sliding towards and of which impact is inevitable so long as we continue to remain economically mono-cultural. Bellonwu-Okafor added that it was regrettable that the Federal Government was paying lip service to diversification going by how much it planned to spend on key sectors of the economy this year. She said it was unimaginative for the government to always resort to borrowing with N2.35tn expected to be borrowed to fund gaps in revenue in 2017. However, prominent economist, Prof. Pat Utomi, said borrowing was not the problem but what the government was doing with the money and the discipline to stick to plan. Utomi said, “It is not so straightforward. On the face of the ratios, this could be an unsustainable borrowing pattern. But where the leadership is focused and passionate about the path it is travelling, it can break the rules and essentially get lenders to finance the infrastructure that opens up the economy and is impetus for growth. A former President of the Nigerian Economic Society and current Executive Director, African Centre for Shared Development Capacity Building, Prof. Olu Ajakaiye, agrees on the imperative of borrowing and also emphasised the quality of expenditure. “Clearly, government has no fiscal space. So, there is no alternative to borrowing to finance development. What is important now is quality and efficiency of government expenditure as well as the allocation of government’s capital expenditure across sectors,” he stated. Ajakaiye said incessant delays in passing the budget by the National Assembly remained a challenge to speedy and effective implementation of the budget over time as such delays do affect the speed of diversification and growth.